A United Nations torture prevention group has suspended its visit to Ukraine after being denied access to places in several parts of the country where it suspects people are being deprived of their liberty by the Ukrainian Security Service (SBU). 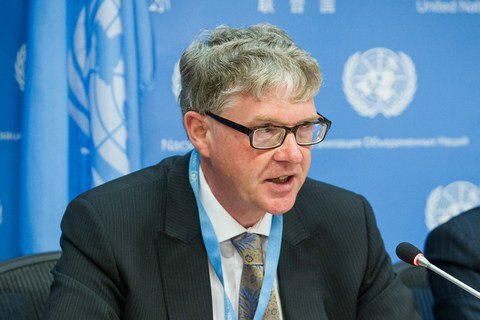 The delegation of the UN Subcommittee on Prevention of Torture (SPT) began its visit on May 19 and was meant to conclude the trip on May 26, RFE/RL reported. But it said in a May 25 statement that the integrity of the visit had been compromised to the extent that its mandate could not be fully carried out. Malcolm Evans, head of the delegation, said his team had heard "numerous and serious allegations that people have been detained" in places where "torture or ill-treatment may have occurred." “The SPT expects Ukraine to abide by its international obligations under the Optional Protocol, which it ratified in 2006,” Mr. Evans said as quoted by UN News Centre. “We also hope that the Government of Ukraine will enter into a constructive dialogue with us to enable the SPT to resume its visit in the near future and so work together to establish effective safeguards against the risk of torture and ill-treatment in places where people are deprived of their liberty,” he added. The delegation was evaluating how its recommendations were being implemented after the SPT first visited Ukraine in 2011.